Recently I had surgery on both feet. I could not go out for six weeks because I live on the fifth floor with no elevator. 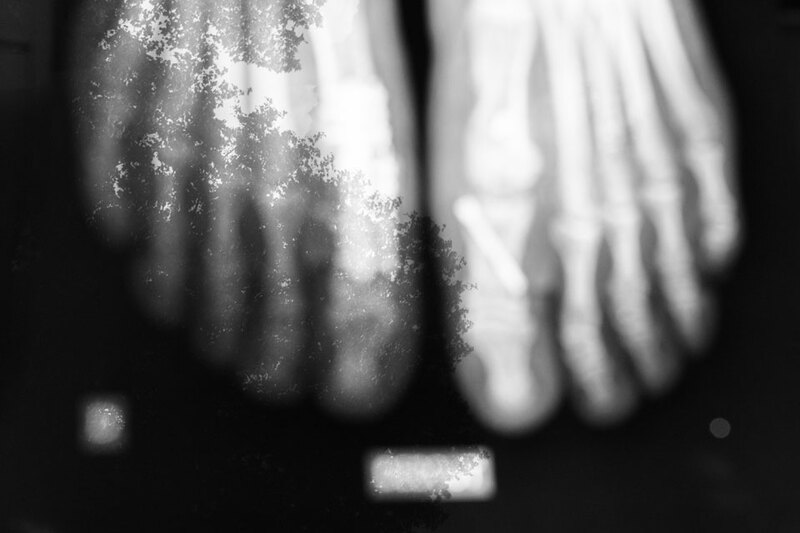 This post-op x-ray, photographed against the window in my apartment, symbolizes how my feet, which are supposed to bring me out in the world, suddenly became the prison bars that kept me inside.